Note: This post started out as Part 1 of a series of kid-friendly activities for a day trip to Logan with young kids. That's why it includes some references and recommendations that apply to children. However, I realized it is applicable to anyone who visits Cache Valley, and also to residents who are looking for things to do. Cache Valley and Logan are rich with food-making heritage, and many of our food production businesses offer tours and learning opportunities for visitors. Little chefs, engineers, and scientists will enjoy watching how some of their favorite foods are made...or at least they'll enjoy the samples! From cheese to honey to ice cream to, well, cheese again, you'll find a tasty way to start your Cache Valley day. Gossner Foods Factory & Store - The Gossner Foods factory produces dairy products and has a large onsite store featuring homemade ice cream, UHT (shelf-stable) flavored milk, cheese curd (including flavored versions), and great deals on many varieties of cheese. There is no factory tour, but a large window into the production area allows the public to take a look at the cheese-making process. A generous sample table is filled with lots of cheeses and cheese curd in different flavors, plus samples of their UHT milk, in flavors like Vanilla, Root Beer, Mango, and Strawberry. The phrase "shelf-stable milk" might sound a little iffy at first, but it's actually really good -- and kids love it. Don't miss the smoked or garlic-flavored squeaky cheese curds! Cost: Free entry and samples. Items available for purchase. Aggie Ice Cream & True Blue Aggie Cheese - Enjoying a cone of Aggie Ice Cream on the steps of Utah state University's Nutrition & Food Science Building is a Logan tradition. You can visit the Aggie Ice Cream store any time during the year, but on a few select days you can also tour the dairy production plant and watch how the ice cream is made. One summer tour date already passed on June 23, but additional tours will be held on July 14 and August 11. The tour consists of watching a short DVD, touring the production plant, and eating ice cream. You can also learn about how True Blue Aggie Cheese is made. A free learning experience is offered Monday-Thursday at 1:30pm may 29-August 16, 2012. Tour consists of a 10-minute DVD and a sampling of cheeses. The Aggie Ice Cream store offers True Blue Aggie Cheese, drinks and snacks, and sandwiches made to order. Where: USU Nutrition & Food Science Building, 750 North 1200 East, Logan, Utah 84322; 435-797-2109 or toll free 1-888-586-2735, http://aggieicecream.usu.edu/. Free parking for customers is available at the southwest corner of the building. Cost: Ice cream tour is $3 per person, which includes a scoop of ice cream. True Blue Aggie Cheese tour is free, and includes samples. Cox Honeyland & Gifts - The Cox family has been making honey in Cache Valley since 1929. Well, actually, it's the bees who make the honey, but the Cox family harvests it and transforms it into an array of products, including creamed honeys, flavored honeys, and honeybutter. These products and more are available at the Cox Honeyland gift store in south Logan. You can also take a self-paced tour of the honey farm, where you'll observe bees coming and going from a glass observation hive, watch a video presentation, view a bee nursery, and take a look at the manufacturing facility. 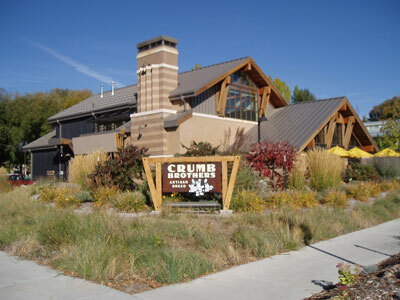 Crumb Brothers Artisan Bread & Cafe - This artisan bakery is a favorite on the farmers market circuit and supplies bread to some of the most popular and delicious restaurants in Salt Lake City, but they save some of the best for their hometown fans. Crumb Brothers operates out of a dramatic and artfully-designed building on the west side of Logan, all soaring ceilings and exposed beams. Windows provide a glimpse into the production area, which can be toured Monday-Thursday at 9:30am. In addition to Crumb Brothers' own breads, pastries, and sandwiches, the retail store features a nice selection of local Utah food products. Don't miss the Milbury & Hodge Ginger Preserves from Torrey, Utah. A table in the corner is always graced by samples of bread and spreads or dips, but the tiny tastes will just leave you wanting more. If you need to sate your appetite, allow me to personally vouch for the Salami & Cheese sandwich or the Lemon Scones. Mmmmmm! Rockhill Creamery - Six brown Swiss cows furnish all the milk that becomes artisan cheese at this micro-dairy in Richmond. Rockhill Creamery produces 200 pounds of cheese per week in varieties such as Desert Red Feta and Snow Canyon Edam. You might remember I purchased a couple of their cheeses during my recent visit to the Cache Valley Gardeners' Market. You can sample the offerings for the day at the farmstand. The historic farm also hosts Richmond's Saturday farmers' market, the Richmond Harvest Market. Tours of the working farm are offered by appointment only, Monday thru Thursday. Call for an appointment. When: The Rockhill Creamery farmstand is open Saturdays, 10am-2pm, June through October. The Richmond Harvest Market is occurs onsite on Saturdays from 10am-1pm. Tours are offered Monday-Thursday by appointment only. Many other regionally and nationally-known foods are produced in Cache Valley, including FatBoy ice cream sandwiches and Pepperidge Farm Milano cookies. These factories don't provide tours, but do have onsite outlet stores where products can be purchased, sometimes at a great discount. Casper's Ice Cream Factory & Malt Shop - Makers of the FatBoy and Casco ice cream treats. 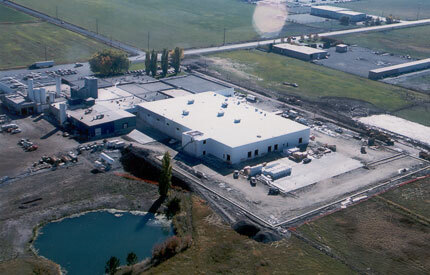 The factory includes a retail malt shop and product sales. 11805 North 200 East, Richmond, Utah, 84333, 435-258-5219, www.fatboyicecream.com. Open Monday-Thursday noon-9pm, Friday-Saturday noon-10pm. Open one hour later during summer. Whew! That's quite a list. Parts 2 and 3 of a kid-friendly day trip to follow. Which one of these factories would you most like to visit? Which have you already been to? Are there any that I've missed? I'd be very interested in taking the Crumb Brothers tour and I also hope to make it out to Rockhill Creamery sometime soon. Thanks Grandmom! I think you've done plenty here...and all over the world! This blog is motivating me to get out and see and do more things around me. And write! I have missed it. Another "factory outlet" store I frequent is Lower Foods in Richmond. They process all kinds of varieties of cooks meats. (roast beef, turkey, chicken, ham, etc.) Their newly remodled outlet store is very clean and has a nice rustic decor. They always have several things to sample there on their tasting table so you can "Try before you buy". They have great deals on sliced deli meats because they package the "roll ends" or partial slices together and sell them really cheap. 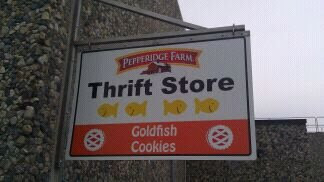 You can always buy their 1st quality things there too. They sell French dip, taco meat, sloppy joe, philly steak, salami, bologna, BBQ beef and much more. They sell in bulk or in smaller packages. I like to get their microwavable trays which makes a meal in minutes. They always have something on special; often a BOGO like Buy one Get one free or half price. One of my favorite things is a great breakfast hash that tastes just like a restaurant breakfast skillet with potatoes, eggs and come in either steak or ham variety. My all time favorite was their Tequila Lime Chicken, but I haven't seen that there for quite a while. If you are even passing through Richmond is it worth stopping there and checking it out. Thanks for these great ideas. We have an overnight stay in Logan and now know some fun and yummy places to visit! We have been coming to Cache Valley for many years to visit these fun food emporiums-but this is the first time I will actually have the addresses and hours of operation! Bringing a car load of ladies and our coolers next week! You didn't mention the PREMIUM CREAMIE Outlet store-not sure on the address but you can buy CREAMIES (somewhat misshapen) individually out of big freezers, Thanks for the info!